The Body-Solid EXM4000S is designed for those who demand the ultimate gym package. 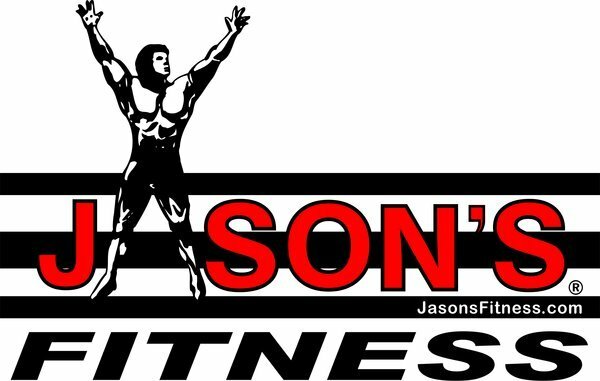 It offers an enormous range of upper and lower body exercises for maximum muscular strength, total body conditioning and superior endurance. 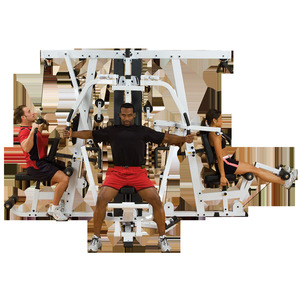 Up to four people can work out simultaneously with the optional Leg Press / Calf Press Station. It fits comfortably against a wall or on display in the center of the room. The exercise stations are fed by three 210 Lb. steel alloy weight stacks and a fourth weight stack comes with the Optional Leg Press Station. Unique features include a Bench Press with "kick-assist" lever for complete prestretch and full range of motion, seat pads with automatic hydraulic adjustments, easy-access pop pin adjustments from the seated positions, and DuraFirm™ pads with lower lumbar support. Comes complete with weight stack shrouds for safety, 2" x 4" mainframe to eliminate torsional flex, Perfect Pec™ Station with range limiters and an advanced articulating handle design for the feel of a true dumbbell workout and a tough, durable powder coat finish.